TransDevelopment served as the Development Manager for the Terminal 6 Auto Warehousing Company (AWC) expansion at the Port of Portland. The project is the result of a partnership between AWC and Ford automotive, along with the Port of Portland, to develop a facility capable of handling the export of Ford vehicles to China. 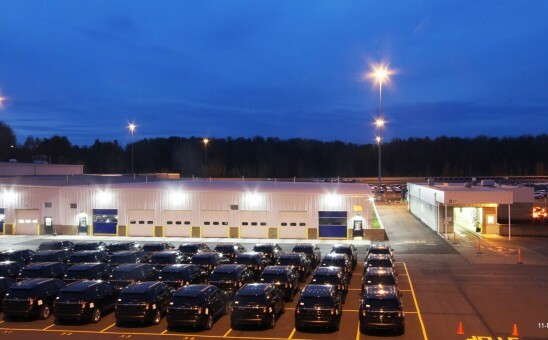 The T-6 expansion increased the size of the processing facility by 27,000 square feet, allowing for increased capacity of over 110,000 vehicles annually. The project also included the relocation of the facility break room, lockers and restrooms to an existing mezzanine in order to increase parts storage space. TransDevelopment incorporated space-efficient designs, environmentally friendly materials, and cost-effective solutions into the strategic project plans. The $2.8 million project was financed by a state funding grant through ConnectOregon IV and investment by AWC. TransDevelopment was instrumental in the preliminary planning of the building expansion, as well as the grant acquisition.